Showcase your products or services to more than 2,100 biofuels professionals, including 500+ biofuels producers. Purchase a booth today! As an exhibitor of the 2018 Advanced Biofuels Conference, you are also becoming an exhibitor at the world’s largest and longest-running ethanol conference, the International Fuel Ethanol Workshop & Expo (FEW). In addition to booth space, all exhibitors receive complimentary marketing through promotional e-mails and brochures, onsite program guide, conference website and online exhibitor list. Be a part of the event defining the industry for years to come. Reserve your booth space today. Booth payment must be made online, with a credit card, at the time of purchase. A confirmation will be sent via e-mail after the checkout process is complete. 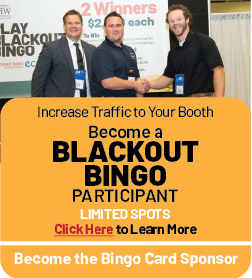 To purchase a booth you must login or create an account, which will contain all the information routinely used when purchasing booths or registering to attend a conference. Once your account is created, you will no longer need to re-enter this information for future BBI International events. Login or register. You will need your e-mail address and password. Select a booth(s) of your choice and then click on "Checkout". Review your booth choices and choose a payment option. If paying with Credit Card, enter your correct billing information. You will receive a booth confirmation receipt via e-mail after checkout process is complete. Booth payment must be made online, with a credit card, at the time of purchase. A receipt will be sent via e-mail after the checkout process is complete. Cancellations must be received in writing via letter or e-mail (service@bbiinternational.com). A refund of 80% of the total price will be given for cancellations received ≥ 180 days prior to the event. No refund will be given for cancellations received < 180 days prior to the event. For more information contact BBI International at service@bbiinternational.com or call 866-746-8385.